Hotel Sangam Continental provides economical hotel accommodation in Kharian. 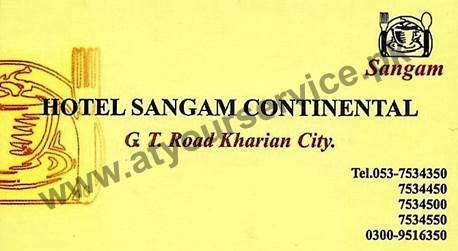 Hotel Sangam Continental is located on GT Road, Kharian. It provides economical hotel accommodation in Kharian.